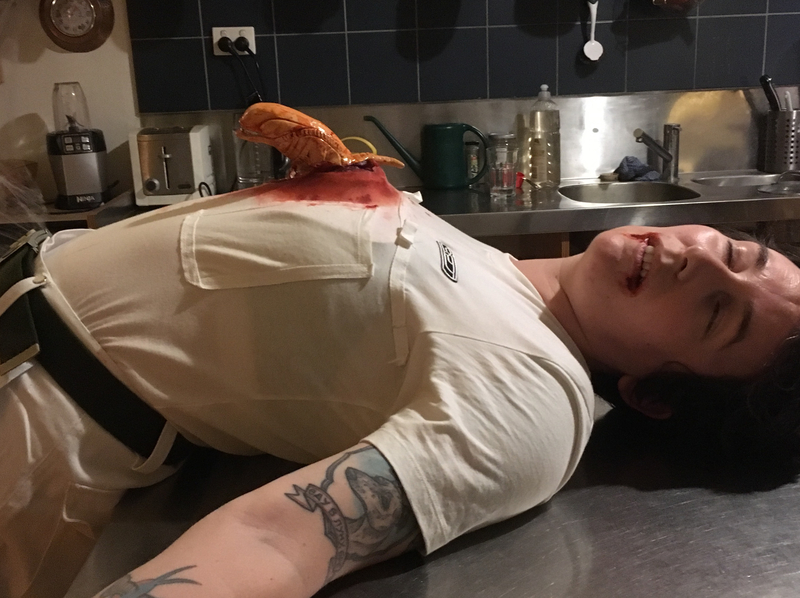 For my housemates' Halloween party, I decided to go as Kane from Alien and do a speedy "chestburster" build out of what materials I could find kicking around the house. From a core of polystyrene (left over from a Christmas wreath kit) I built up a few layers of Crayola Model Magic; what it lacks in fine detail it makes up for in lightness and quick-drying qualities! 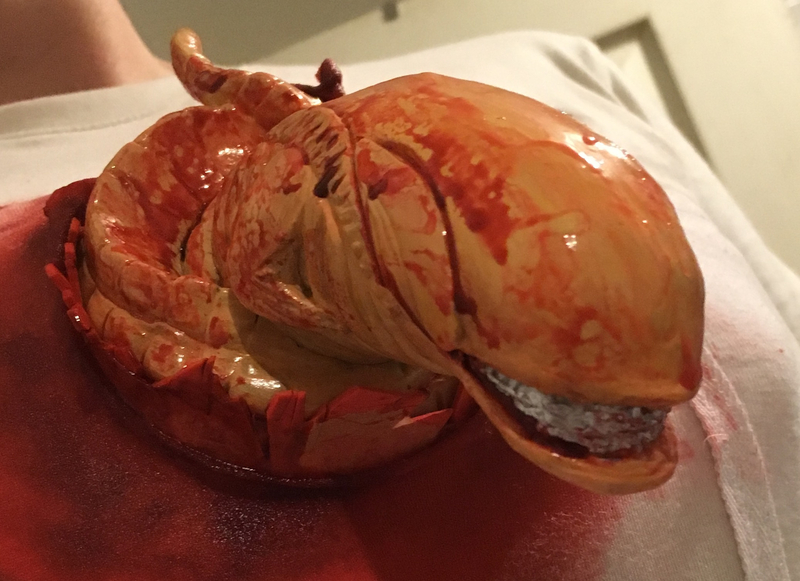 Then I painted him with some truly abysmal cheap craft paints, did a few layers of polyurethane varnish, and finally covered him in Ben Nye blood (yes, that was 'lying around the house') and KY Jelly (ditto, haha). 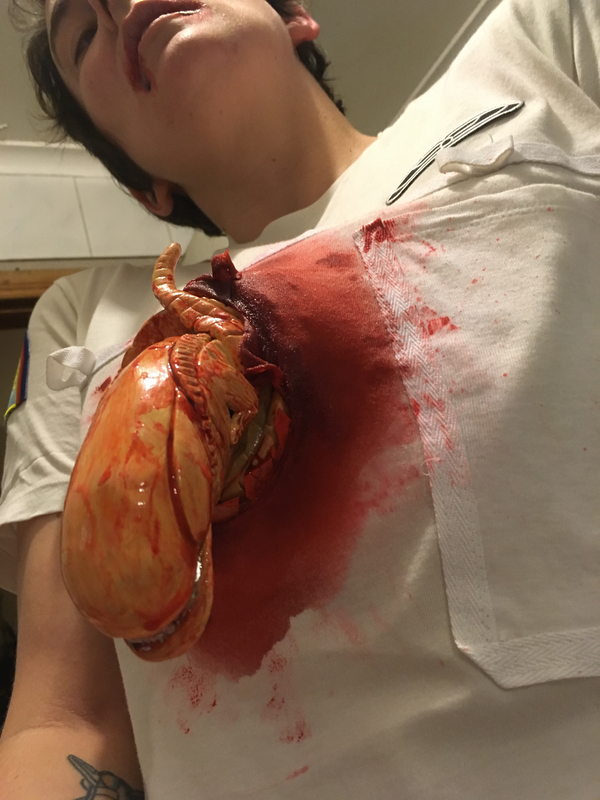 I created a harness with some EVA craft foam and papier mache, sewed some snap-fasteners onto an old sports bra to hold it in place, quickly whipped up a Nostromo crew shirt with a Uniqlo tee and some cotton tape, and my awful son was the hit of the party. I have no doubt this won't be the most impressive Halloween costume but given the speed of the build and the bargain basement "craft room" materials, I was pretty stoked with the results. Haha! That's awesome and impressive considering your limited supplies and time!